In general, a wide spectrum of industries are increasingly using high-strength magnets to do all kinds of work, from physical metal lifting and separating to motor activation and Magnetic Resonance Imaging (MRI). Different applications require different types of industrial magnets. Industrial magnets can be broken up into two main categories: non-permanent and permanent. Non-permanent magnets are electromagnets which require an outside electric current to be magnetized or demagnetized. Permanent magnets include ceramic magnets (also known as ferrite magnets), alnico magnets and rare earth magnets. Ceramic magnets have lower magnetic power and are more brittle and easily breakable than some other magnets, but they are cost-effective and retain magnetism under corrosion and vibration. Rare earth magnets are less cost-effective to manufacture but are far more powerful and retain their magnetism better than ferrite magnets. Neodymium magnets are the strongest and most commonly used industrial rare earth magnet; sheet magnets are made from a flexible ferrite-plastic composite which is extruded into sheets and used in automotive and consumer industries. 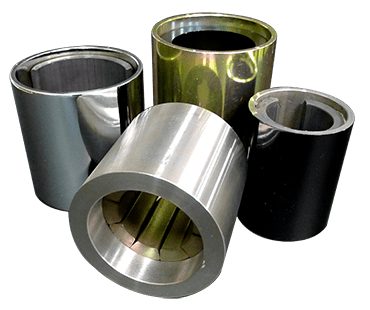 There are many different types of magnetic materials that industrial magnets can be fabricated from. The most important properties magnet manufacturers consider during fabrication are porosity; ease of fabrication; magnetic retention (or magnetic permanence) under heat, corrosion and vibration; magnetic strength; and cost. Types of permanent magnets are made from different composites and therefore have very different properties and applications. For instance, ceramic and alnico magnets are most often used for physical lifting and separating. Magnetic tools which do this kind of work often contain multiple magnets in specific configurations called magnetic assemblies. Lifting, holding and separating magnetic assemblies are used in metal fabricating, construction, engineering, automotive, electronic, water treatment and agricultural industries among others. Arc-shaped ceramic magnets are often used in motors, and most stereo speakers use ceramic magnet discs. Rare earth magnets and magnet assemblies have much stronger magnetic fields than ceramic or alnico magnets and are used in sensitive electric motor, computer hard drive, TV monitor, sensor and medical applications. 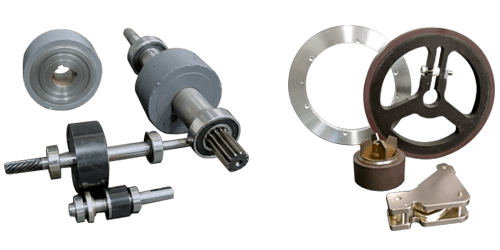 Electromagnets are used by automotive, medical, metal fabrication and aerospace industries in applications such as solenoid valves, AC and DC motors, biomagnetic separation, beam control, transformers and car crushing. Industrial Magnets Industrial magnets are high-strength magnets that have certain characteristics that make them ideal for applications in the industrial industry.